Posted on August 4, 2015 at 11:56 am. 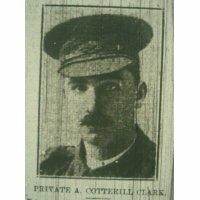 Title: Alfred Cotterill Clarke Pte Aust Imp Force. Alfred Cotterill Clark was born in Doncaster in 1884. At the age of 16 Alfred was living at 156 Cemetery Road Doncaster, as a lodger with Mr. and Mrs.Gilberthorpe and family. Alfred worked as a grocer’s assistant. At the age of 26 Alfred moved to 5 Exchange Street, Doncaster as a lodger again. This time with Mr.and Mrs. Otley. Alfred also changed his profession to a clerk. By the time Alfred was 30 he not only moved house he moved countries. He moved all the way to Sydney, Australia were he worked as a tram conductor. 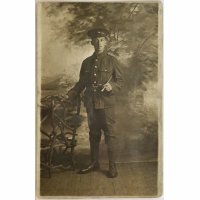 Alfred enlisted into the A.I.F (Australian Infantry Force) on the 6th March 1916 aged 30 years 4 months in Sydney, New South Wales. 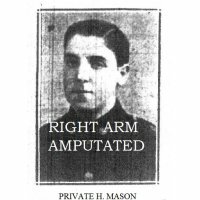 He served as a Private with the 2nd Battalion. Alfred left for the front from Sydney on the ship HMAT Demosthenes A64 and disembarked at UK. Where he was taken on strength from Cyclists Training Battalion from No.1 Command Depot Perham Downs on the 1st.August 1916. Proceeded overseas to join 2nd.Battalion A.I.F. 3rd.August 1916. 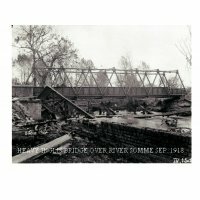 Taken on strength and entered Etalpes 16th.August 1916. On the 6th.October he was at the front line. 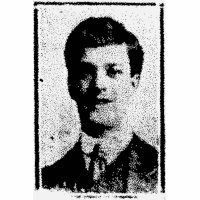 Alfred was wounded in action on the 5th.November 1916, however, died of his wounds on the 31st of December 1916 at the Advance Dressing Station, France. Alfred is buried at the Bernafay Wood Cemetery, France. Alfred’s Awards are. British War Medal, 1914/15 Star, Victory Medal and Memorial Scroll of Honour. Picture of HMAT “Demosthenes” (A64) leaving Port Melbourne. 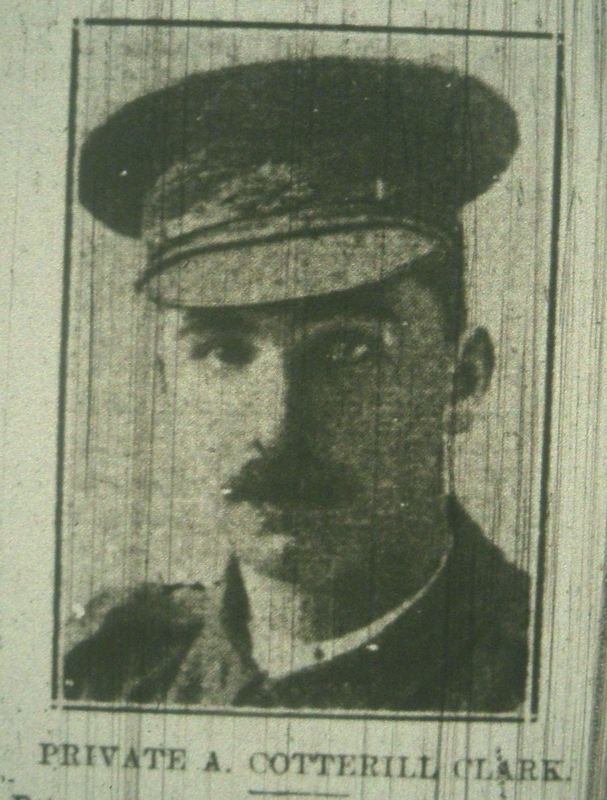 16th.July 1915. This is the ship Alfred left Australia on to fight in the Great War. Alas Alfred never returned. 1916-12-23 - 1916-12-29: Christmas Battles.